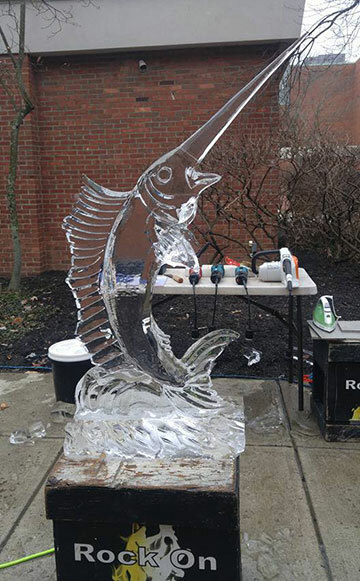 Rock On Ice visited high school students at Columbus Academy to show them some fantastic Ice Sculpting skills. We entertained three classes with open discussions, speed carving, and hands-on interactive sculptures. The classes consisted of high school aged students that lasted 45 minutes. Each class had 20 students. We began with an open discussion in which the students had the opportunity to ask our master sculptor, Greg Butauski, anything they wanted to know about the cool world of being an ice sculptor. We then moved on to our speed carving demonstrations which ran for about 20 minutes each. Here are the sculptures made from each class. 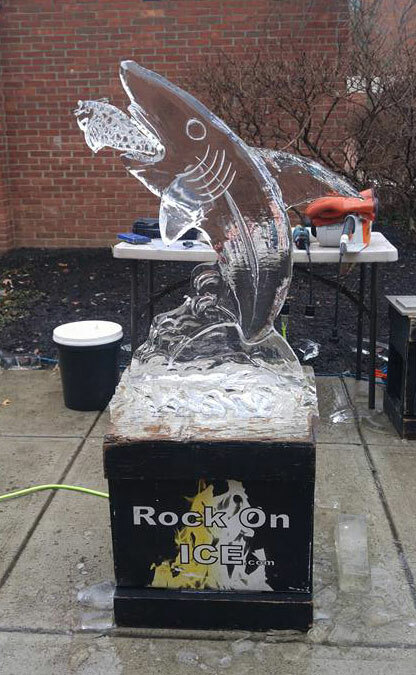 Greg carved a swordfish, a shark, a bass, and a snowman for the speed carving. To finish up the class we let the students collaborate and build their own ice creations by freezing on pre-made ice shapes. The interactive portion of this activity lasted about 10 minutes each. Pictured here are students with their completed ice sculptures. Great work! 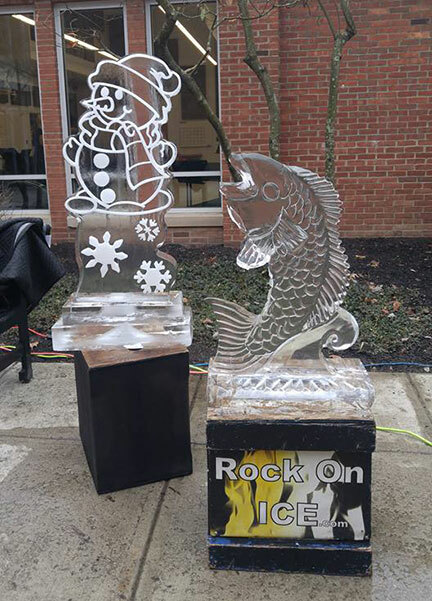 Rock On Ice can provide various types of demonstrations for schools and libraries. We have carved ice, pumpkins, fruit, and even soap! Check out our demonstrations on our website for more information.